As the number two cause of death in the US, Cancer, in its many forms, has caused widespread suffering for mothers, fathers, sisters, and brothers. Veristat is committed to putting a stop to this suffering. Oncology trials make up 40% of our work. 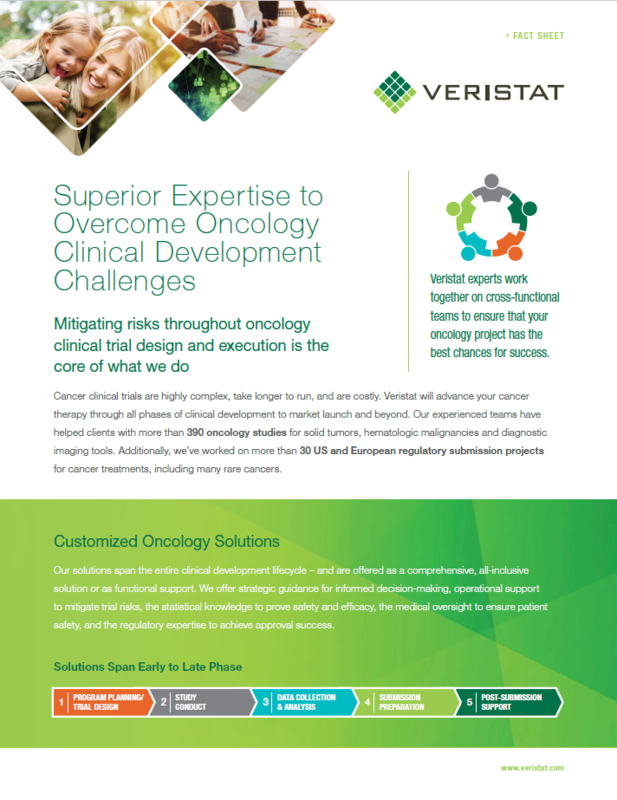 Learn more about our experience with Oncology Clinical Trials, and how we can support you in your next trial.